It's fun to drive and roomier than you may thing. Good value. My mini is fun to drive. It is great for parking in my parking impacted neighborhood. It handles well on the road, especially on curvy roads and inner city driving. Fuel efficiency is good. Its an older model that does not have many of the advanced technology features that come standard now but it has been functional for me personal needs. No major maintenance issues other than the basic wear and tear. The oil pan does require replacement as a whole given Its design. Additionally, some mechanics will not do work on minis, so this may be a challenge when going outside of dealership servicing. The mini is great for the single person who loves to save gas! Okay well here are some pros, it gets good gas mileage and is very reliable if you keep up with maintenance costs. 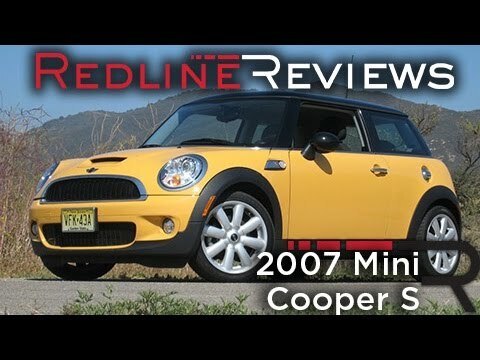 One thing I do not enjoy about the mini is the lack of room that it provides, also talking about maintenance the tires are fairly cheap and easy to obtain almost anywhere you go for a reasonable price that will not break the bank. My dream car. Small and compact but big in power, acceleration and speed. I have never had any problems. My mini cooper has given me marvelous service. Has plenty of power and acceleration. I love the power and speed. Just take care of regular maintenance and this car will not let you down. This little car handles like a dream and almost parks itself. . I have never regretted buying it. I love this car.